Two volumes (27 cm), I (1984): viii, 232 pp., illustrations. II (1987): viii, pp.-504. Uniform publisher’s cloth (no dust jackets issued). 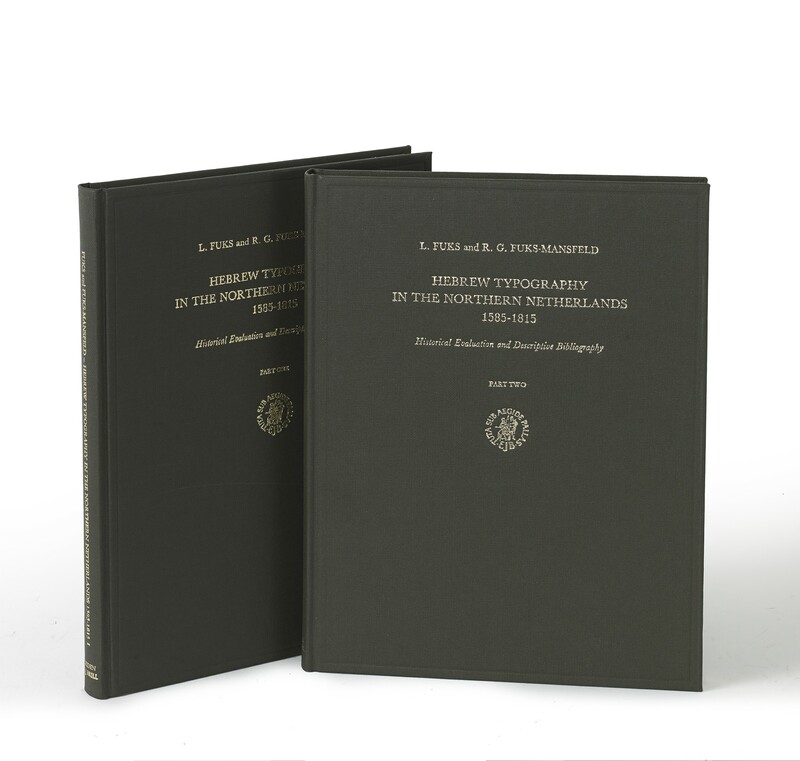 - Bibliography of books printed in Leiden, Franeker, and Amsterdam, “which contain more or less continuous Hebrew texts” (p.10); 639 catalogue entries. 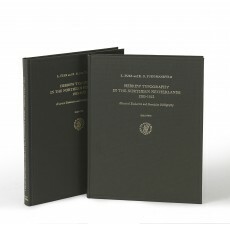 Publisher’s retail price €295 (www.brill.com; link). ¶ Superior copy in almost new condition.